1999 Chevrolet Suburban. This vehicle has four-wheel drive for off-road and inclement weather. It is used as a personnel transporter, support vehicle and to tow the rescue boats. 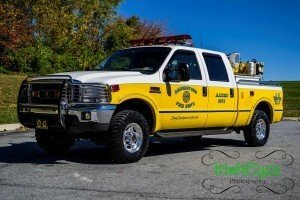 Best Appearing and Equipped Brush Truck Champions"
2000 Ford Super Duty F350 Four Door Crew Cab. This vehicle has four-wheel drive for off-road and inclement weather. 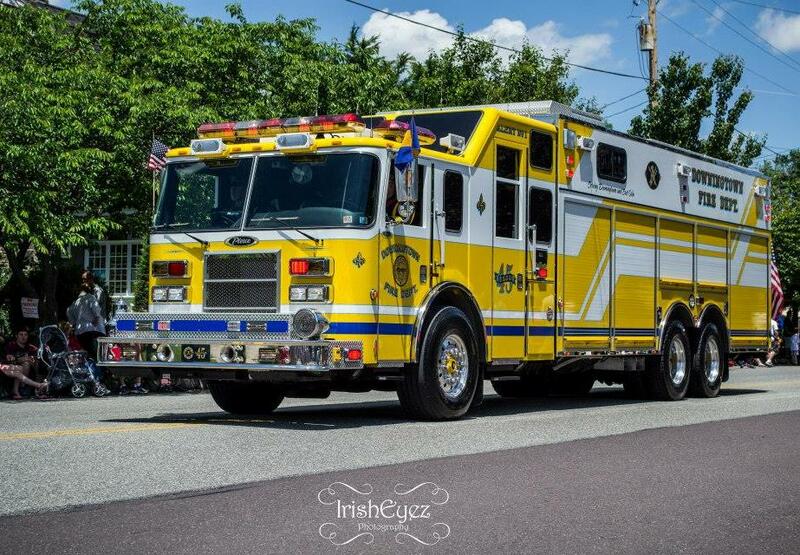 It is equipped with a custom slide-in skid unit with a 360 GPM Darley pump and carries 170 gallons of water, a 10 gallon reservoir of Class A foam. The hose load is 150 ft. of 1 ¾” diameter, 150 ft. of 1” diameter and 100 ft. of 1” Forestry line, 2000 watt generator with 1000 watts of lighting, Indian Tanks and hand tools. Best Appearing and Equipped Engine Champions"
1998 Spartan/R.D. Murray Pumper. This vehicle is powered by a 430 hp, Series 60 Detroit Diesel engine. 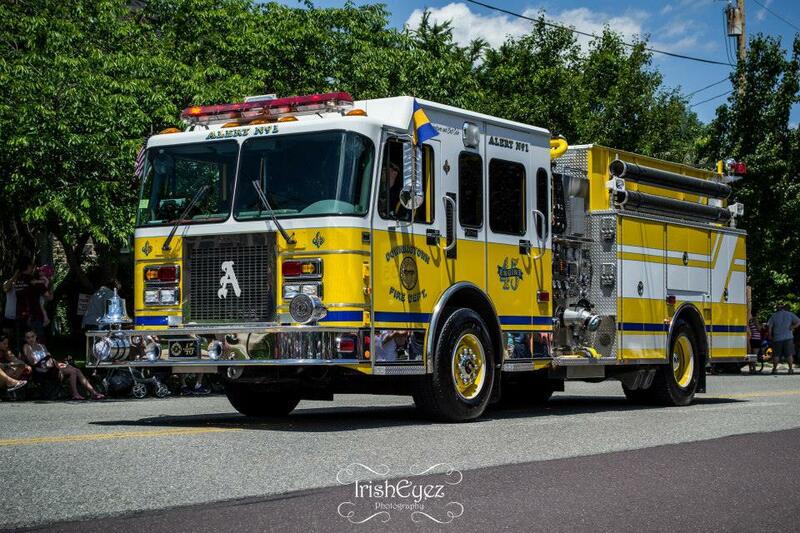 It has an eight person cab with SCBA, a 2000 GPM Hale single stage pump and a Hale Foam Master foam system. 2006 Pierce Lance 42′ long Heavy Duty Rescue Truck. 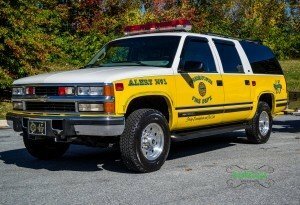 This vehicles chassis is an extended four door with a 22″ raised roof cab, powered by a 515 HP Detroit Diesel Series 60 engine with an Allison automatic transmission, TAK-4 Independent Front Suspension with a rear air ride suspension mounted on a heavy duty tandem axle and Side Roll Protection. 2013 E-One HP-95 Mid-Mount Ladder Tower. 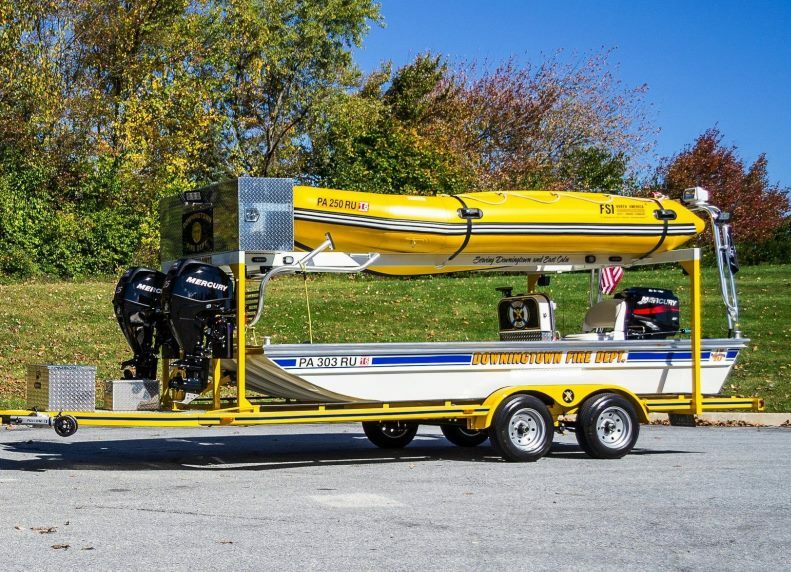 This vehicle is powered by a 500 HP Cummins diesel engine and has a Cyclone II cab with seating and SCBA for six people. 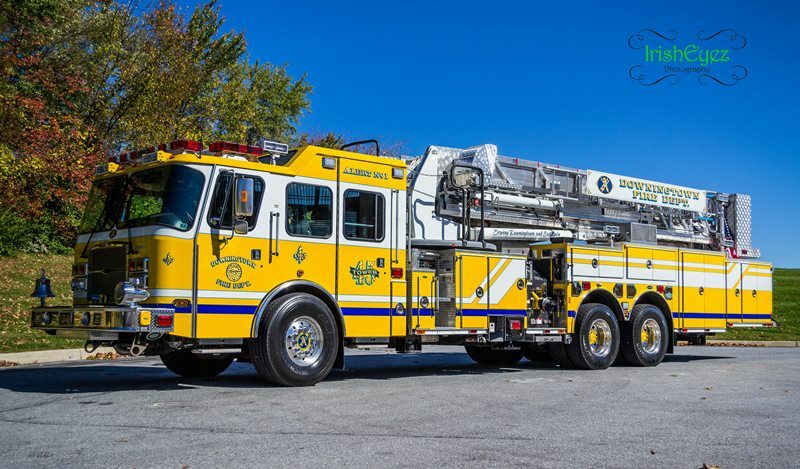 It has a four-section aluminum aerial ladder with a 1305 Lb. capacity platform, providing a 95 ft. vertical reach and an 88 ft. horizontal reach with a heavy duty pre-piped waterway and a remote-controlled 1250 GPM monitor.